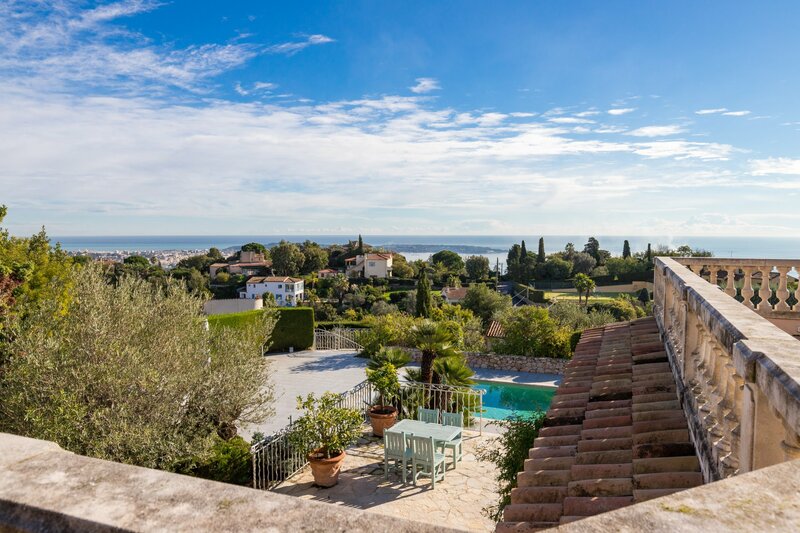 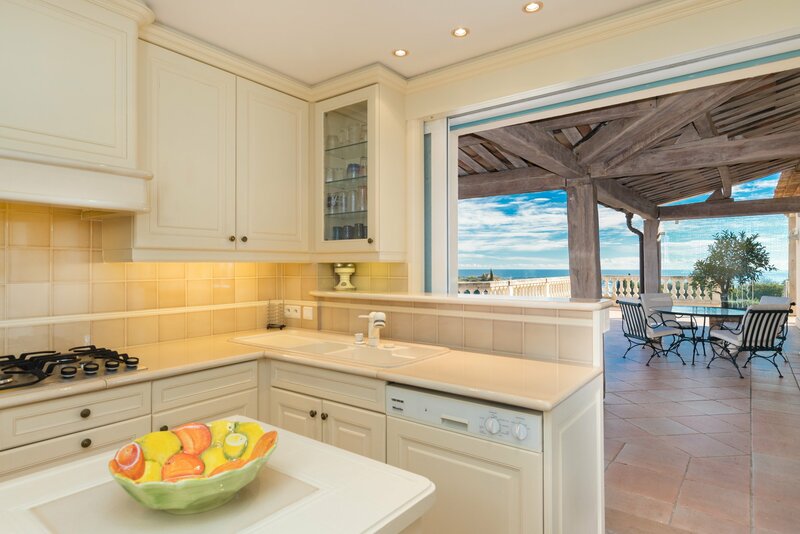 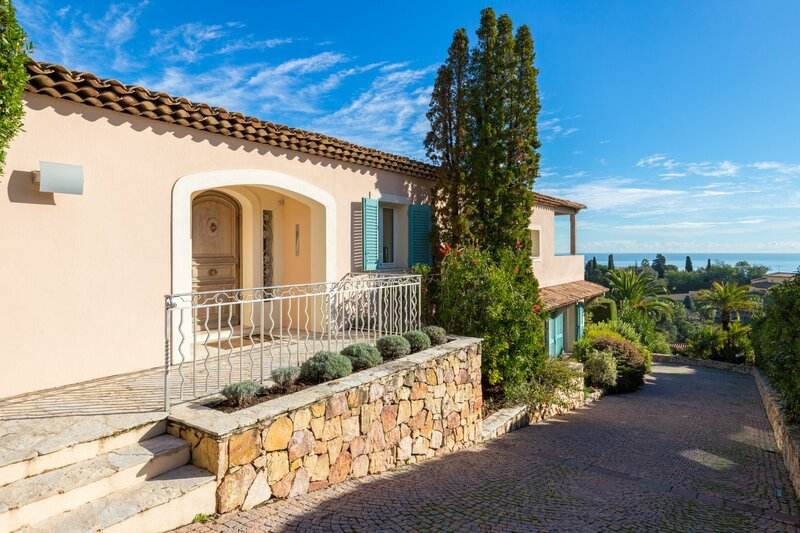 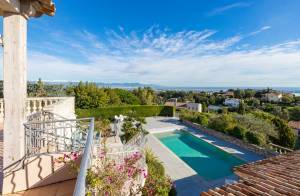 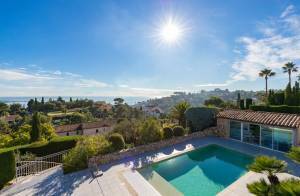 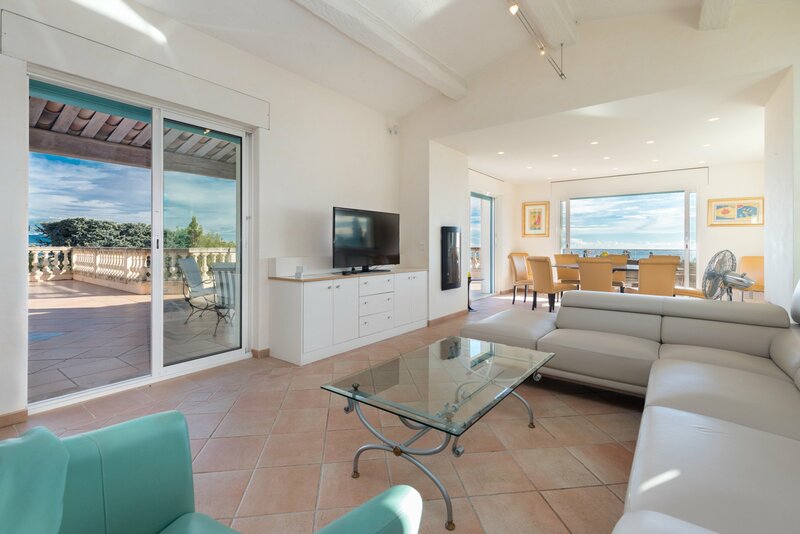 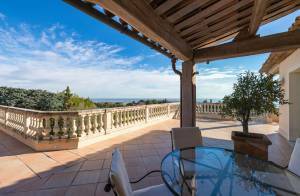 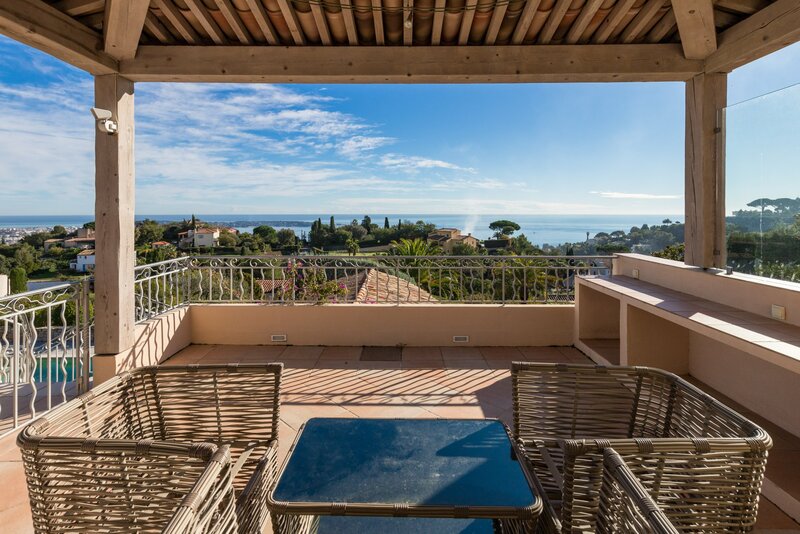 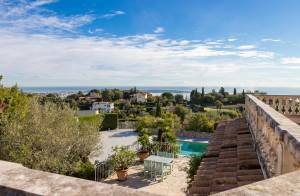 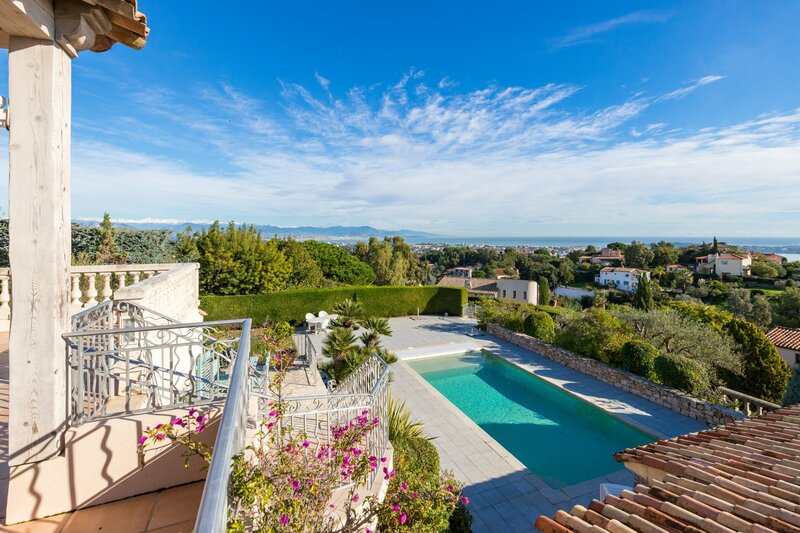 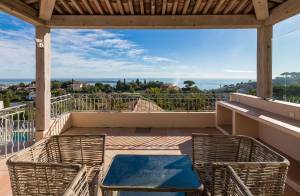 On the heights of Super Cannes in a closed domain, dominant position and fantastic sea view over Cap d'Antibes and the snowy mountains for this beautiful villa around 300sqm living space on a plot of 2090sqm. 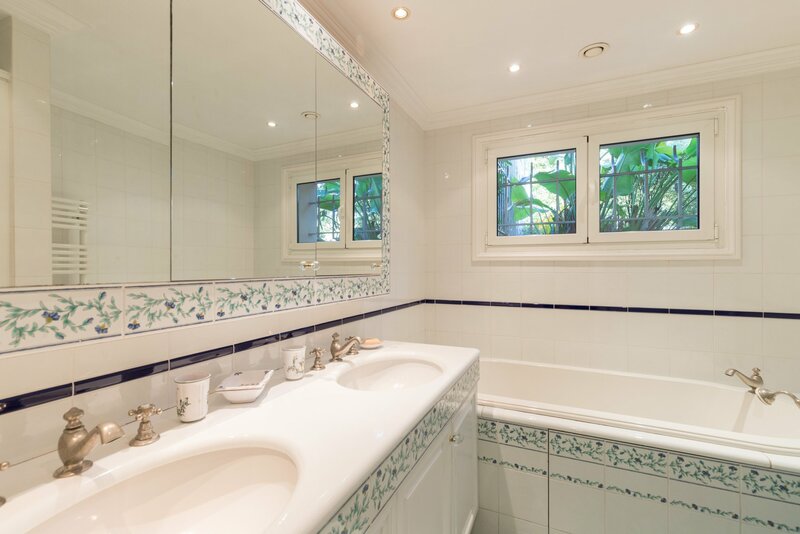 -Ground floor: entrance, living room, dining room, kitchen, master bedroom with bathroom en suite, separate toilet. 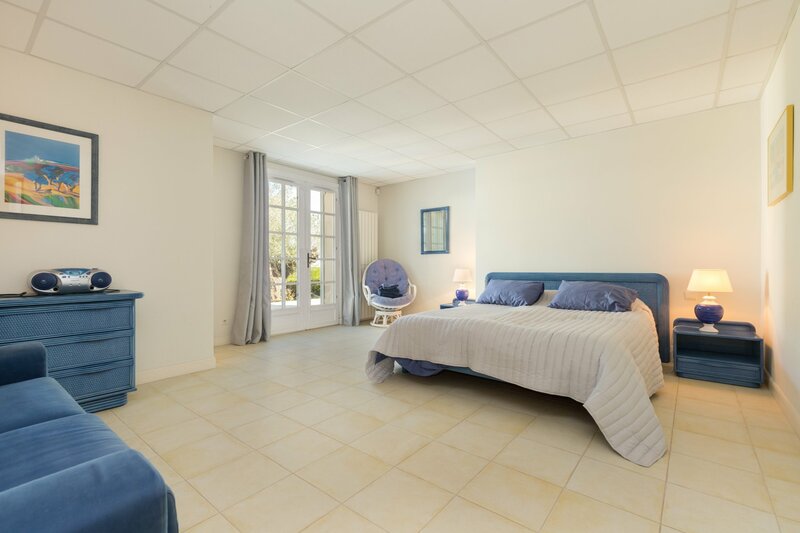 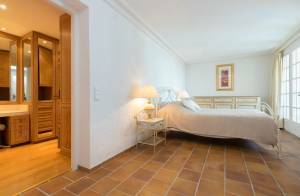 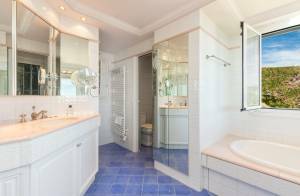 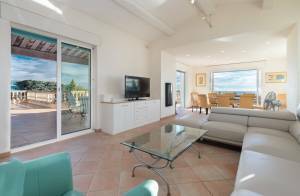 -Garden floor: four bedrooms with bathroom or shower and wc en suite, independent shower room, laundry,dressing room, reserves. Large heated pool, pool house with kitchen, sauna and shower, 3 cars carport.